As spring calls out to the green-fingered with its promise of warmer weather, now’s the perfect time to start planting crops in your garden. But of course, in 2018 that may be somewhat of a presumptuous statement to make. With the notorious Housing Crisis plaguing the nation, to the younger generation the idea of owning a property large enough to have a veg patch may seem like a pipe dream. Indeed, a recent study by the Resolution Foundation found that the under-45s live in properties with fewer square metres of space than the generation before them. But living in a small space doesn’t mean you can’t still enjoy a spot of gardening. There are so many health benefits to reap, it’s well worth planting a few crops even if you only have a bit of room to spare. According to a 2017 study by the NCBI, not only does consuming more vegetables improve your health and well-being, but growing it does too. To make the most of your smaller home you need the right sort of planter, which leading high street retailer Robert Dyas has plenty of. From foldable planters for apartment balconies to herb stands for those with only vertical space, they’re the urban gardener’s go-to for home-grown veg essentials. So why wait to buy a house with a big garden? Make the most of your small space and start reaping those home-grown rewards. 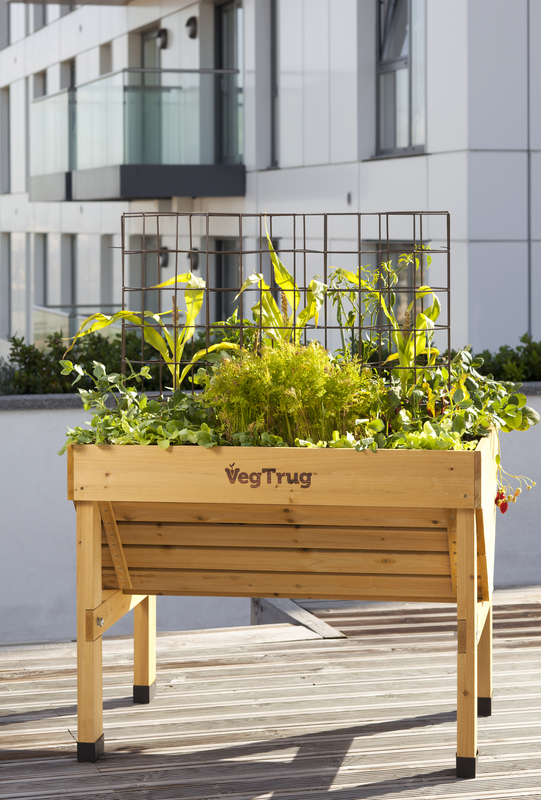 Perfect for balconies, the VegTrug Poppy Raised Planter (£24.99) is lightweight with a foldable design so it can be stored away over winter. If you want to grow more but are short on floor space, grow double the amount of crops vertically in a VegTrug 2 Tier Poppy Raised Planter (£49.99). 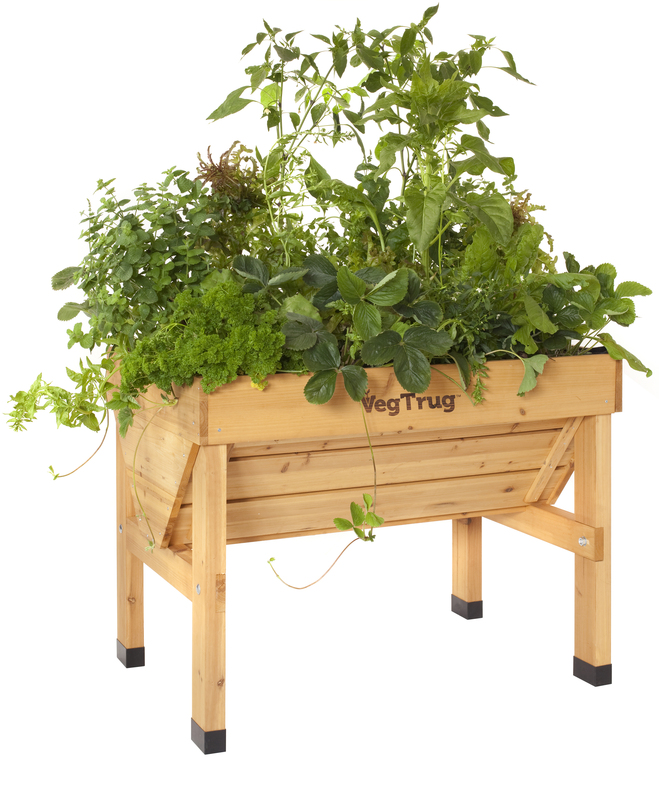 The VegTrug Mini Wall Hugger (£66.49) is ideal for narrow spaces, such as in front of a wall or fence. 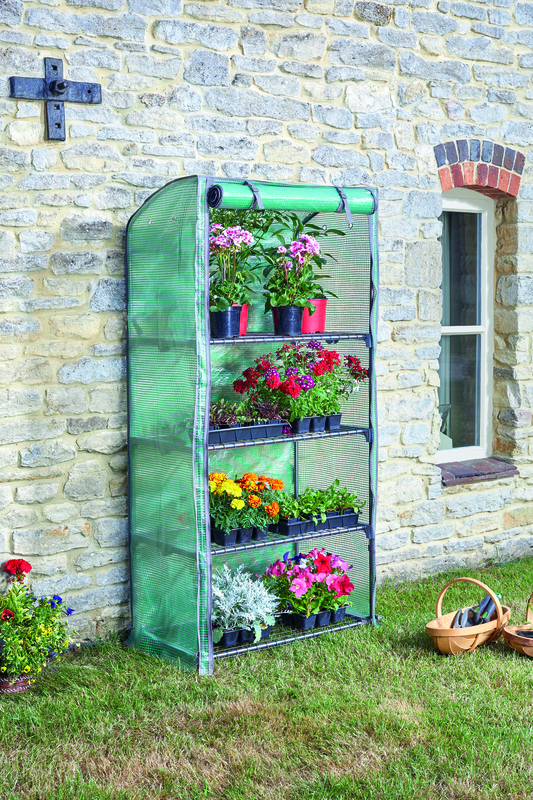 Complete with a greenhouse frame and cover for bringing on seedlings earlier, it’ll keep your plants safe from slugs, animals and pests. If you’ve got a touch more space, the VegTrug Classic Raised Planter (£109.99) is a good choice. Still very compact at only 1m wide, it’s a little bigger than the Poppy and Mini Wall Hugger but has the same unique V-shaped design to allow deep-rooted produce to develop more effectively. 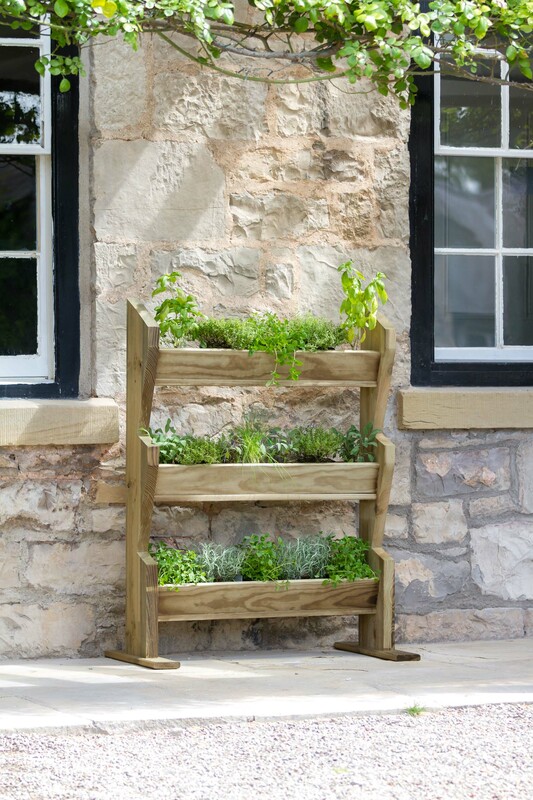 With the Zest4Leisure Vertical Herb Stand (£69.99) you can have a whole garden of herbs right on your doorstep – even if you only have a square metre of space. With three tiers and room for plenty of plants, you can enjoy a whole host of fresh aromatic flavours. 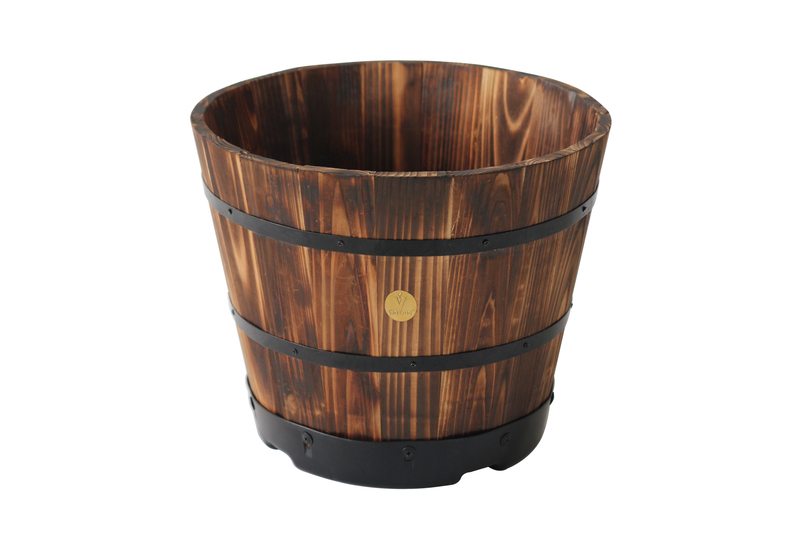 At just 46cm in diameter, the VegTrug Wooden Barrel Planter – Medium (£19.99) can be used in even the tiniest of spaces. Plus, the rustic design makes it a gorgeous feature. Propagators (£2.89 - £49.99) are great for starting seedlings off indoors. You can also choose an electric propagator (£19.99 - £49.99) to raise the temperature for better growth. Once they’re around 4-5cm tall you can transfer them to the Worth Gardening Professional Seed and Cutting Tray (£4.99) and keep them in your home or Gro Zone (below). If you don’t have room for a greenhouse but can spare some space for the super-slim Gro Zone (£33.49), you can grow all sorts of fruit and veg and keep them well protected in the process. The shelves and central poles can be easily removed to allow for a variety of plant heights, while the front zip-up panel opens fully for total access. Measuring just 37cm wide and 40cm high, the Zest4Leisure Holywell Planter (£32.99) fits easily in tiny spaces like balconies or by doorways. If you have a little more room you could add the Medium Holywell (£49.99) or even buy the Nest of 3 (£139.99) to create a striking set. If you’d prefer a more modern look, the Zest4Leisure Marford Hexagonal Garden Planter Set (£69.99) is a great way to make an attractive feature of your urban veg patch. Whichever planter you go for, you’ll of course need some compost (£3.99 - £8.99) to get your garden growing. Whether it’s a seed and cutting compost for your seedlings or something more nutrient-dense for older plants, there’s plenty choose from at Robert Dyas. This press release was distributed by ResponseSource Press Release Wire on behalf of Robert Dyas in the following categories: Men's Interest, Health, Leisure & Hobbies, Home & Garden, Women's Interest & Beauty, Environment & Nature, Consumer Technology, Food & Drink, for more information visit https://pressreleasewire.responsesource.com/about.